Toddington to Chalton Circular Walk at Toddington Walking RouteA circular walk of about 5 miles starting at either Toddington Green or Chalton following parts of the Icknield Way. Start/Finish Point: At the war memorial on Toddington village green, or at The Star public house in the village of Chalton. Start Nat GR: TL009289. 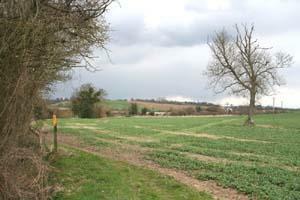 A circular walk of about 5 miles starting at either Toddington Green or Chalton following parts of the Icknield Way.